The JEM AF-1 MkII is Martin's industry-standard compact fan which sets the benchmark for effect fans. The JEM AF-1 MkII is more responsive and even more versatile than its original predecessor the AF-1. Using a 12” sealed axial motor, with variable speed, the AF-1 is responsive even at low speeds while remaining silent, only producing 70 dBA at maximum speed. 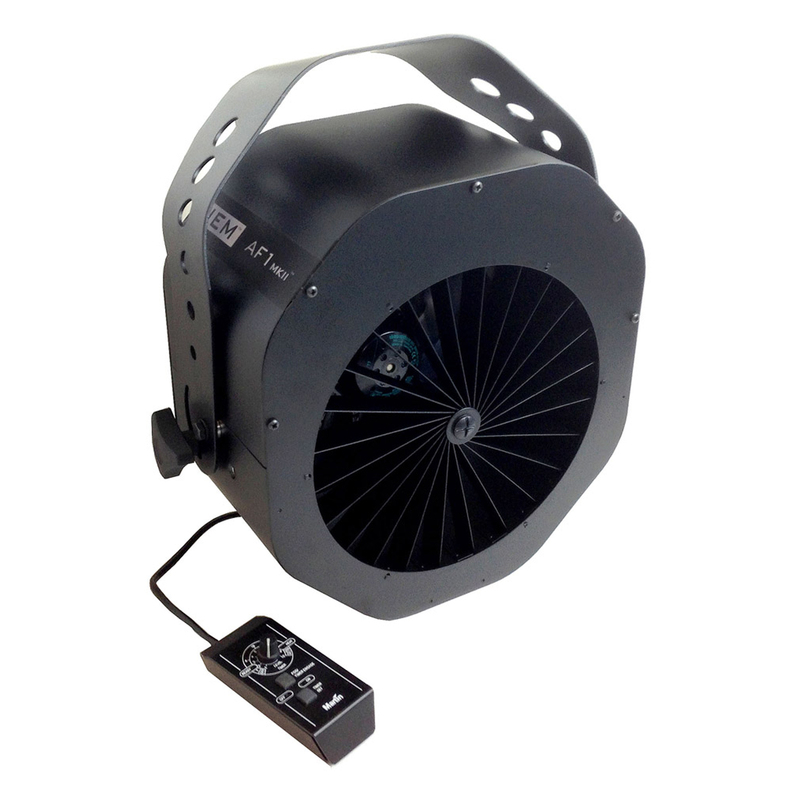 The AF-1 MkII has integrated DMX or by using the included remote control to control, it is the ideal fan for a large variety of indoor or outdoor applications from touring and stage to theme parks, cruise ships and much more.